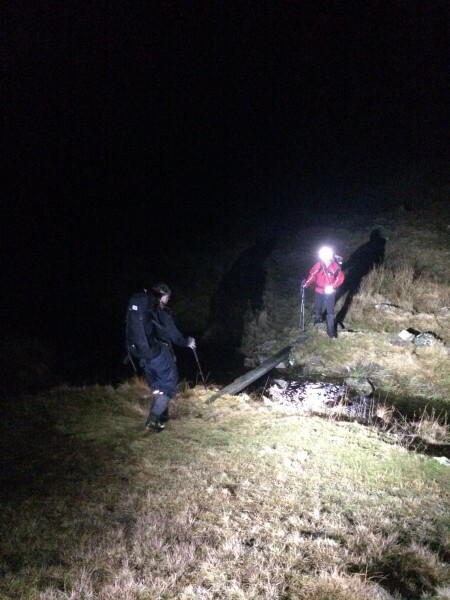 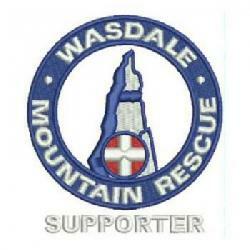 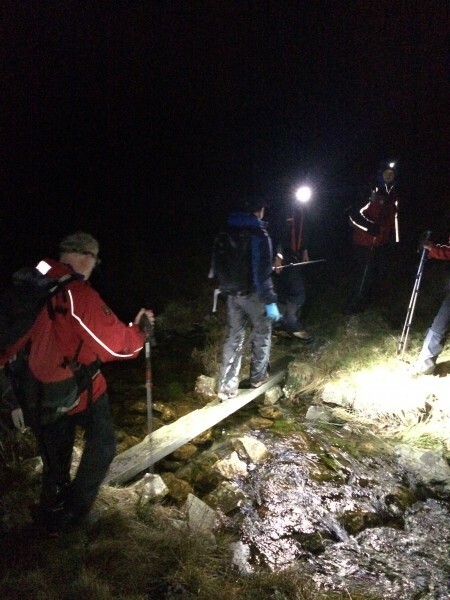 We were called by Police about 2 walkers who reported themselves lost whilst attempting to descend Scafell Pike. 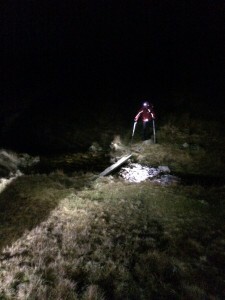 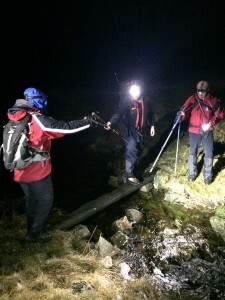 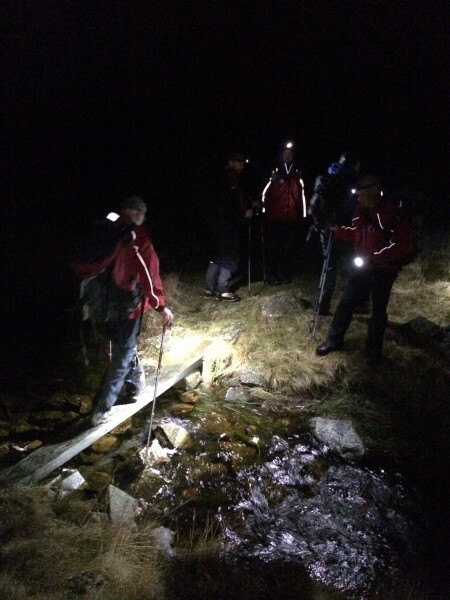 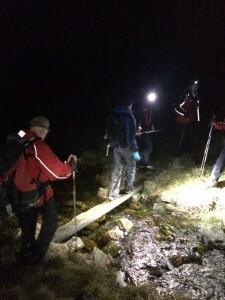 After discussion with the team leader it was determined they were somewhere between Sampsons Stones and Burnmoor Tarn having tried to walk back to Wasdale from Eskdale. 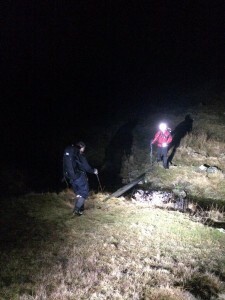 They were found near High Scarth Crag in Eskdale, walked back to Taw House farm and then given a lift back to Wasdale Head.